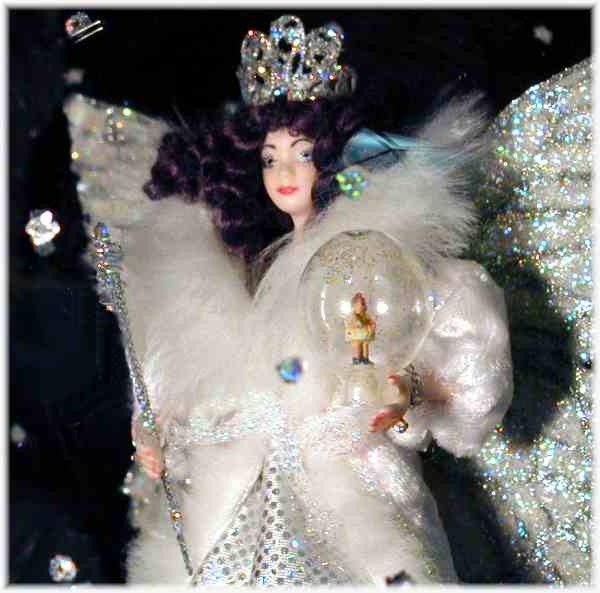 The Snow Queen Fairy in her Snow Globe! 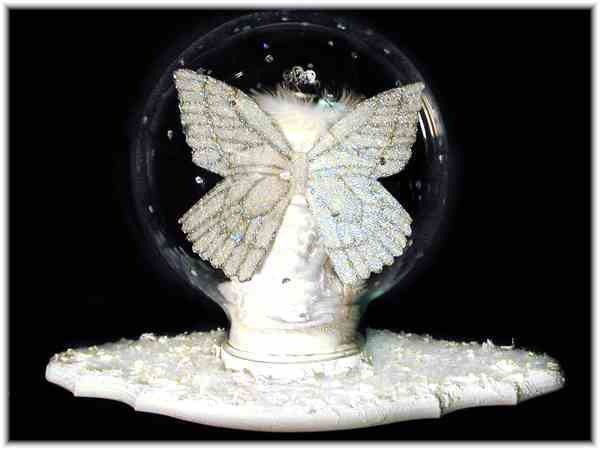 a tiny snow globe with a teeny little girl trapped inside!! Even though she has a wicked reputation, isn't she gorgeous?! The Snow Queen's stand is built into the round wooden base. The glass globe fits over the base and can be carefully removed. 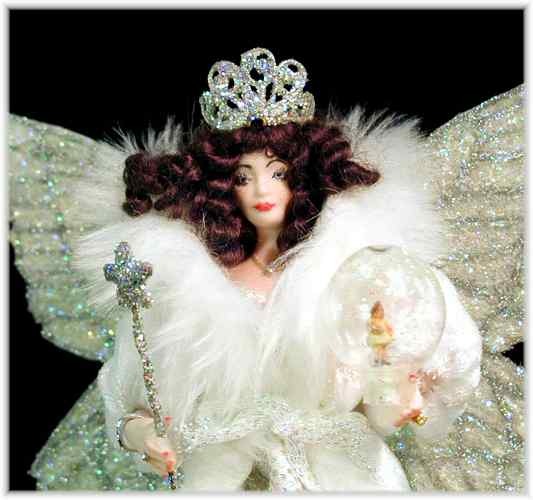 The Snow Queen is a porcelain doll and is about 6" tall, with a 5" wingspan. Her glass globe is about 71/2" high, and about 61/2" in diameter. Her base is about 12" wide and 7" deep, and is textured and covered with holographic chips to look like ice and snow. 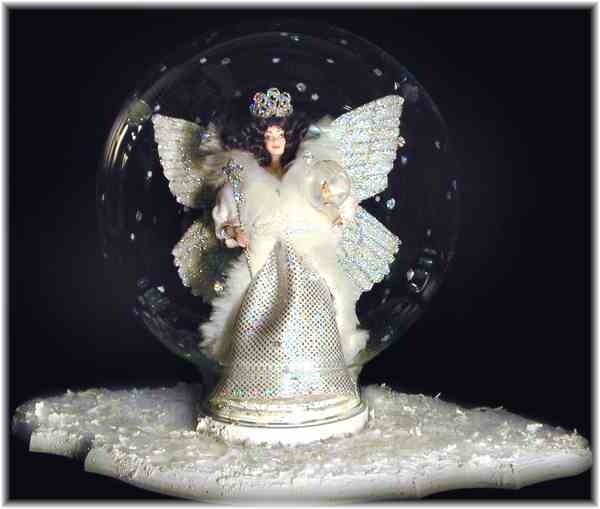 "The Snow Queen Fairy in her Snow Globe" is an incredible, one of a kind work of art by the artist JoAnnJ of Galleria d'Juliani, and is hand-signed by the artist. She comes with a signed Certificate of Authenticity. A keepsake that will be treasured and will turn heads wherever she is shown!